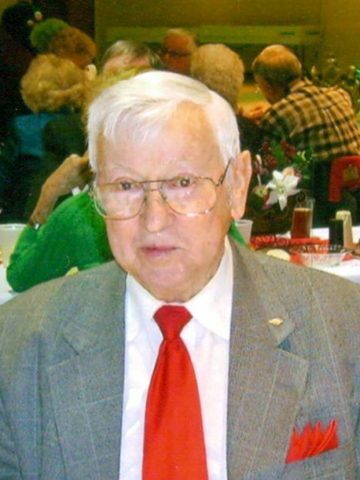 Mr. James Biggs McWhirter of Goodlettsville, Tennessee passed away Monday, June 12, 2017 at the Brookdale Assisted Living in Goodlettsville, Tennessee. Mr. McWhirter was born January 24, 1923 in Dover, Tennessee to parents, Walter J. McWhirter and Lucy M. Biggs McWhirter. He was 94 years of age. James lived most of his life in Bordeaux, Tennessee. He loved his country. He served proudly in the U.S. Navy during World War II. He was a Methodist by faith and a retiree of Ford Motor Glass Plant. James was a Mason and Shriner. When James Biggs McWhirter passed away, the University of Tennessee Athletics lost one of their biggest fans, as he was an avid supporter. James loved life and enjoyed all it had to offer, a special favorite was dancing at the VFW. James was preceded in death by his parents; his step-mother, Bertha McWhirter; two brothers, Eugene and Jackie McWhirter; three sisters, Flora Richardson, Martha Jones and Lillian Waggoner; and several nieces and nephews. A Graveside Service will be conducted 11:00 a.m. Friday, June 16, 2017 at the Middle Tennessee Veteran's Cemetery on McCrory Lane. He will be interred there with military honors for his service to our country. No public visitation will be held, but all family and friends are welcome to attend his graveside service.